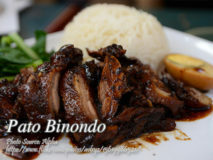 This is another tasty version of the famous adobo, the adobong pato or duck adobo. 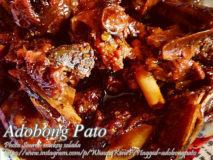 This is very similar to chicken adobo since they are..
Adobado simply means “marinated” although this word is similar to “adobo”, they don’t mean the same thing. 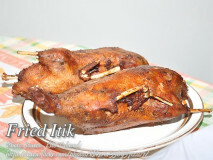 There are other variation of adobado but this..
Fried itik or fried native duck is one of the popular dishes or fried food sold by sidewalk vendors. Although this is more expensive compared.. 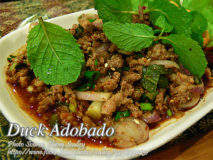 The Chinese have a great influence in our cooking and have accepted many of their food stuffs like siopao, lugaw, hopia and many others. 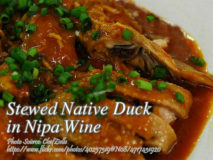 Below..
A unique way of cooking duck stew using nipa wine or “tuba”. This native wine comes from coconut sap collected by snipping the stem called..